World Skills Competition is the largest international ‘Vocational Skills Competition’ in the world. It takes place in a different country every two years and is open to competitors up to the age of 22. The competition brings together over 1,000 young people from around 65 countries to compete in more than 40 skills. The competitors pitch their skills against the best of the best and compete for ‘Gold’, ‘Silver’, ‘Bronze’ and ‘Medallion of Excellence’. National Skills Development Corporation facilitated the participation of WorldSkills India at the 42nd Worldskills Competition, held at Leipzig, Germany from 2nd-7th July 2013. The Indian team, flagged off by Honourable FM, Shri P Chidambaram, returned with 3 ‘Medallions of Excellence’ in the IT Software Solutions for Business (ITSSB), Jewellery and Graphic Design Technology. India participated in 22 skill categories and IT-ITeS Sector Skills Council NASSCOM (SSC NASSCOM) facilitated the ITSSB category. Preparations for WSC2013 ITSSB category was supported by NASSCOM member organizations like Microsoft, IBM, Infosys, Web Chutney and NIIT. 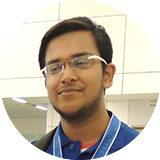 Seventeen years old Sarthak Jain, who was a student of Maharaja Agrasen Model School, Delhi, till recently, is the winner of Medallion of Excellence in the ITSSB category. He was recently felicitated by SSC NASSCOM in the presence of Mr. Som Mittal, President NASSCOM, Mr. Lakshmi Narayanan, Chairman SSC NASSCOM, Mr. Dilip Chenoy, MD & CEO NSDC and many eminent people from the industry. Sarthak’s performance has also been recognized by Bengal Chamber of Commerce by giving him the cash award. Sarthak’s story clearly underlines the fact that even though formal education continues to have immense value in India and globally, possessing deployable skills is a great value add and is recognised worldwide. SSC NASSCOM will also facilitate India’s participation in ITSSB category for World Skills Competition 2015, to be held at Sau Paulo, Brazil in August 2015. Application forms for the same will be available on the NASSCOM website shortly. Arun Raj comes from a very humble background from Madurai. The family income was not enough to support the education of two children. Arun started working in an Ad Agency at a very young age to support his family and to take care of his studies. His dream was to become a Graphic Designer. 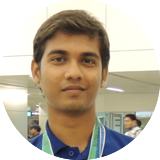 He participated in World skills India conducted by NSDC and sill partner supported by Reliance AIMS – He cleared Regional, National contest during 2012-13 and was one among the top 3 candidates for National Finals. I felt that my life started to change when they announced my name in Balewade stadium during 2013-World Skills India Finals. I could not believe that, I was the one who’s going to represent our country in WSI 2013, Leipzig, Germany. I become more responsible ever in my life after winning National Finals. I thought, it’s a great opportunity to make my country, my parents, teachers & friends proud. Given the country’s first representation in Graphic Designing category, I am glad I didn’t return back home empty handed. With the sincere and dedicated efforts put in by my expert Mr.Sathish Narayanan during the training and with all my well wishers blessings and best wishes, I could get the ‘Best of the Nation’ and the ‘Medallion for Excellence’ for the country in the Graphic Design category. Life changed after winning a medal at Leipzig. I got recognized in various places and people said that I inspiring them lot. I have been invited to talks in colleges, gave presentation, mentorship and influenced design culture among other designers. I got a job in Multinational Company with the pay above my expectation and the company gave me all the Apple gadgets on my desk. I'm enjoying and loving my job. Working with excellent team and influencing the design culture in my company. Winning a medal gave me lot of confidence. I applied my US Visa on my own and I went alone to explore more in the design space. The amazing part is the consulate gave a US Visa without even asking any documents. I still can’t believe that I have US Visa. They simply said “Your visa has approved, Have a safe trip” and I was in San Francisco (I never expected that I’d go to my dream place). It’s an inspiring and amazing trip. Got lot of job offers on the spot while attending events from San Francisco companies, I came to India. My Company refunded the amount after I came back to India. I got a new bike KTM DUKE (I named it Da Vinci), I felt very happy and exploring more places. Travelling makes me happy as well. Lot of CEOs personally messaged me to be part/lead their design department. But I have something big in my mind and I still feel I just started my journey, still long way to go, searching for something BIG, with lot of bigger aspiration started 2015 with some positive note, I’ll announce it soon. All these experience taught me to Never Settle, Explore and Dream big. Thank you to everyone who’s been part of this World Skills journey!